New website makes us smile! 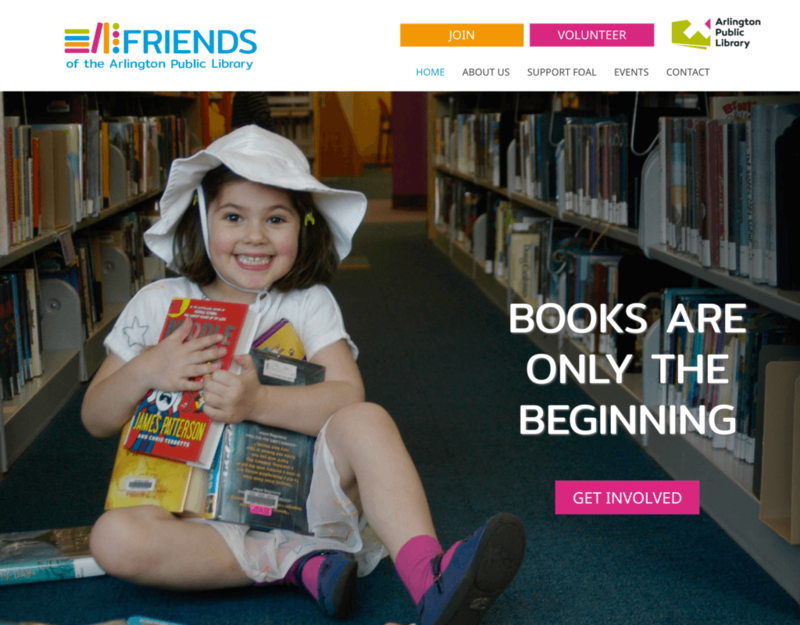 We are thrilled to share the new logo and website for the Friends of the Arlington Public Library. The Friends of the Arlington Public Library (FOAL) is a volunteer organization established to support the public library system in Arlington, Virginia. Their mission is to enable a strong, vibrant, engaged community using the libraries as a place to read, learn, work, create, congregate, and share ideas. We’re all about supporting local communities to help educate and enrich the lives of others, especially children! FOAL had a very out of date website and they really wanted a whole new look. We designed a vibrant, colorful logo, that invokes books, but also community with circles representing people. The colors are bright and cheerful. We created the new WordPress website with Beaver Builder. We used the GiveWP plugin to make donations seamless and backend reporting easy. Importantly, Give’s Import option allowed us to import a .csv file of all members from a spreadsheet that was being used to manage members/donors. Our solution will allow FOAL to easily manage recurring annual membership payments, as well as offer a Lifetime Membership and non-member donations.